Through NEWS UPDATE CHIP IN we plan to introduce our greens staff so you get to know more about the people who look after our course so well. In this issue you meet Alex Delbridge, our apprentice greenkeeper in his second year with the club. Alex is a quiet and very polite 17 year old country bloke and, for the young ladies, there is more – he has a twin brother. Lives with parents in Pinbarren at foot of Mt Pinbarren north of Pomona. Moved to Sunshine Coast from Toowoomba five years ago. Past student of Noosa High School. Part way through apprenticeship leading to Certificate 3 in Sports Turf Management. We look forward to seeing Alex gaining his qualifications in Turf Management and progressing further with this golf club. Loves the outdoors and hanging out with family and friends. Racing downhill mountain bikes in the SEQ downhill series occupies some of his spare time. The rest of his spare time is spent fiddling with his 4WD vehicle that he likes testing out on local 4X4 tracks, and taking up on north shore with his brother and mates, camping and fishing. Alex has four good mentors and role models working with him. Paul, Brendan, Todd and Rex have lots of collective experience in turf science, turf management, equipment use and maintenance, mechanical repairs and practical common sense. 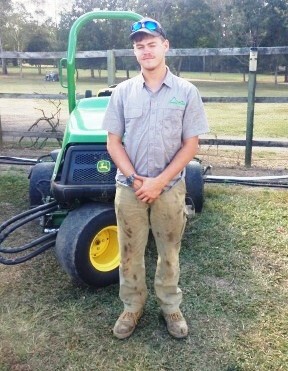 Alex impresses with his work ethic and dedication to his workmates and the golf course. When you see him on the course give him lots of encouragement – he will appreciate it and deserves it. We have two more Nett Pennant events to play and will be looking to improve on our already 11 point lead to the nearest Club being Noosa. Gympie Open day being part of the Nett Pennant saw the Cooroy Women walking away with an abundance of prizes....well done to all competitors. Watch this space for the final results. 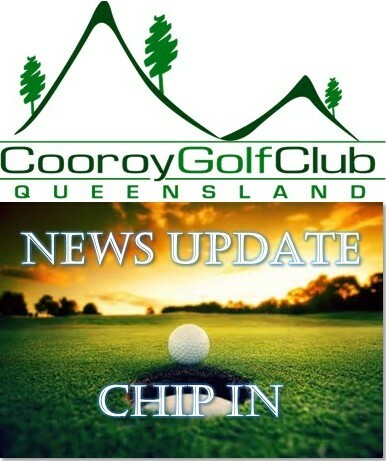 Cooroy Women hosted the C Grade Zone Championships on 6th August. 48 Women competed and the day was great success. Thursday 23rd August saw the conclusion of our Club Championships. Congratulations to the winners and all who competed. Bronny Woolbank - Club Champion, Wendy O'Hare - Div 1 Nett winner. Lyn Blackmore - Div 2 Champion, Desley Walker - Div 2 Nett winner. Wendy Morse - Div 3 Champion, Leith Barr - Div 3 Nett winner. The Vets performed well at the 2018 District Championship even though our numbers were down on previous years. Jason Egan (pictured left with Grant Smallacombe) won the C Grade trophy with 38 points - congratulations Jase. Grant Smallacombe, Ray Nolan and Greg Michael each won a ball in the rundown. Grant also picked up a NTP on 9th. Ron Blount won a raffle and Bob Watson acted as official photographer. Jason's performance in recent weeks has been impressive and looks ominous for the upcoming Vets Championship. And, Jason hit the winning shot in the playoff for the District Matchplay Championship to give Cooroy the A Grade title. The other team members (pictured in green) were Rex Williams, Brian Clemow and Terry Lyons. The latest news FROM THE SHED is posted on the website Noticeboard - follow the Read more link below. A summary of achievements and planned activities is provided below. You can read the full detail in the post. With good weather August has been another busy month with lots achieved. Painting of green keepers shed and installation of new gates and fencing near shed. Garden established outside the fence in vicinity of green keepers shed. Coring of greens using solid tynes. New variable speed drive installed on main water pump resulting in more even water pressure and coverage of greens and surrounds. Carpet grass selectively sprayed to improve quality of grass on greens surrounds. More sand added to bunkers around 4th and 16th greens in response to concerns from members. Gypsum, lime and other nutrients added to 17th fairway. Sand and ryegrass added to cover bare patches in front of tees on 18th fairway (picture 1). Stolons of green couch will be added as we move into warmer weather. Recent working bees have produced some excellent results. The full list of volunteers involved is available in the From The Shed post on website. Raising Tree Canopy (Job J15) - Started LHS 16th before green to creek, then back RHS of 4th green, including removal of some trees that will in time shade the green. Marked Tree Removal - Remove trees identified by Greens Committee on LHS and RHS of 2nd fairway and trees shading 16th green in early to mid morning. Thanks to Graeme Caffyn, Job Coordinator. Thanks also to all the women who volunteered for this working bee. Ten women put up their hands to join the crew on the 2nd fairway, whilst another seven women bought in morning tea and lunch for all the workers....fantastic effort by everyone involved on the day. Well organised and a wonderful Club spirit. The area in front of tee to RHS of 4th is being developed as a green couch nursery. This is the start of a shift to introducing better grass to landing areas and bare patches on fairways. This will take time and effort from Greens staff and volunteers over several years but we can make it happen. Build a rockery around the natural drain to the creek on the 4th fairway. Stay tuned as we will be looking for donations of materials and plants. The 12th green has been selected as the first to be upgraded with Tifdwarf Bermuda grass from our greens nursery on the left hand side of the 14th fairway. This work will include access to green for heavy machinery and a pathway over a drain. A temporary green and tee will need to be created. Greens staff are preparing a budget for this project which will require Management Committee approval to proceed. Quotes are being obtained for trimming high branches on trees on 5 holes by a specialist tree lopping service using an elevated work platform. The cost will be significant and require Management Committee approval to proceed. Create three mounds on RHS of 1st fairway to cover the extensive bare patches in that area. We are hopeful of using donated sand or fill currently stored behind the 15th green. Good posture establishes the spine angle that you are going to turn your body around and how far from the ball you should stand. Flex firstly from your hips so your backside sticks out allowing your arms to hang down. Even if your arms hang down vertically that would not be incorrect. Then flex at the knees but not excessively. The top golfers learn good posture from an early age. Watch their posture on television and try to emulate it. 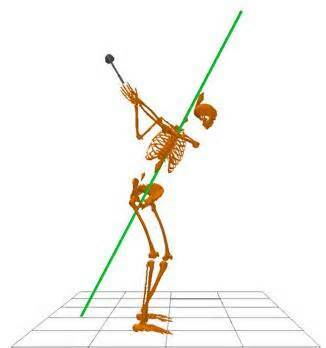 Notice your club head will not necessarily sit flat on the ground but understand that this not incorrect.